This week-end, the city of Frameries (Belgium) hosted the European Cups of Subbuteo. In a separate article you can see the winner of the Champion’s League. The Europa League was the other attractive trophy to win this week-end and after a lot of excitement, there was an Austrian final between TFC Mattersburg and TFC Wiener Neustadt. 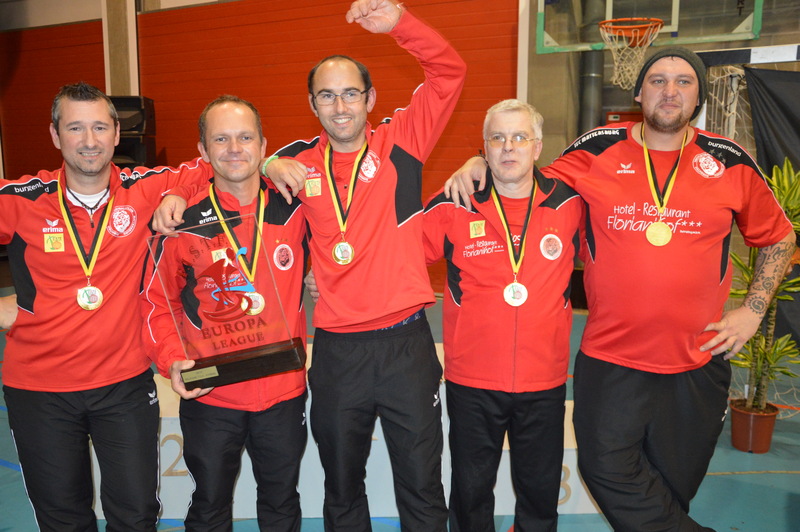 The game ended on a perfect draw but after a few seconds in the extra-time, Erich Hinkelmann scored the winning goal to offer the trophy to TFC Mattersburg. Congratulations! This entry was posted in FISTF News and tagged Belgium, Europa Cup, Results. Bookmark the permalink.